Okay, did March completely fly by for anyone else? Because I felt like I blinked and March disappeared. It wasn't even like I was super busy or anything! Maybe I was too distracted by the 10 books I read this month. Who knows! Anyway. It was a decent reading month for me. Most of what I read I really enjoyed, but I didn't really have a new book which I FELL IN LOVE WITH either. Some notes on how I do wrap ups: I don't include plot summaries because the publisher can summarize them much better than I can. If you want to know the plot summary, I've left an Amazon affiliated link in the book title so you can check it out. I rate books on a 1-5 star scale. (1= worst book ever why did I read this? ; 2= did not enjoy; 3= this was good! ; 4= I really liked it! 5= OMG LOVED THIS IT'S THE BEST EVER!) For the most part, you're going to see 3-5 star ratings from me and not a lot of negative simply because if I don't like a book, I'm not going to finish it. Life is too short to read books you don't like, right? Right. Let's get to it then and let me know if you've read any of these books and what you read in March! Reading Sunshine took me way longer to read than I anticipated. Not because it wasn't good, it was just a time issue and I had library books I needed to read first! Sunshine was a really unique vampire book. It's one of those that reads more like a traditional fantasy than an urban fantasy, so I would definitely put it more in the same vein as Interview with a Vampire than Chicagoland Vampires. McKinley had a stream of consciousness style which was a great way to be introduced to the world. It felt much more natural than a bunch of random info dumps. But at the same time, it slowed down the pace in some places where something would be happening and the character would go on a tangent in her mind and I'd be all "JUST TELL ME WHAT HAPPENS." Overall though, I really enjoyed Sunshine. It was magical, mysterious, and made me crave more by the end. (Which, the end was SUPER abrupt.) I wish there was a sequel! I was hesitantly excited to read Shadowsong. I read Wintersong last year because S. Jae-Jones (JJ) is a host on one of my favorite podcasts, Pub(lishing) Crawl, and I really wanted to support her book. I liked Wintersong, but didn't LOVE it. Yet, I was curious to see where she would take the characters in the sequel so I picked it up. Overall, I enjoyed Shadowsong a bit more than Wintersong. I loved how more of the focus was on her brother and we got to see that relationship, and we saw how Leisel was dealing after the events of the first book. We never think much about what happens to characters after the experience something strange and magical in a fantasy book, so I was glad that was in here. It was very focused inward, vs. outward plot points and dealt more with psychology instead of action. Which is also refreshing for a fantasy novel. Shadowsong ended kind of heavy for me, so I decided to jump into something light and fun and Paige in Progress definitely delivered! Paige was so fun to read about in Tessa Ever After, and it made me excited to read her story next. Paige isn't your typical romance heroine where she's inexperienced and insecure around men. She isn't afraid of her sexuality and isn't afraid to show that there's more to her than just blonde hair and a hot body! Then Adam was a great hero and a total romantic - the opposite of Paige! Which made for a fun story. Tessa and Jason are still my favorite couple in this trilogy, but I really liked Paige and Adam too! God Save the Queen is one of the most unique settings I've seen in an urban fantasy/steampunk series. It's inspired by Victorian London, but takes place in an alternate universe modern-day society where the nobility are immortal and the country is run by vampires, goblins, and werewolves. It's a great mix of modern and past, which at times was confusing, but still fun! There was a bit of a romance, and as the story progressed it came more to the forefront, but the main focus was on the mystery and her relationship with her sister and mentor.I liked how the romance felt a bit more natural than you'll see in other books of this genre. It does get pretty gory though. For the most part, I can handle violence in fantasy books. But towards the end when it was the "final showdown" it was really hard to read and I wished it was a TV show or movie so I could close my eyes! I'd been waiting all of February for A Princess in Theory! It just released at the end of the month and I was so excited when my library got it since I enjoyed An Extraordinary Union by the same author so much. Some great things about this book was that it featured a woman who was also a scientist, I loved the play on those spam emails about people from other countries needing your information, and the whole secret of him being a prince and she didn't know it. I also loved when we saw his culture! Her transition into falling for him could have been a bit smoother though. For a character who is so "anti-love" she fell for him a bit too fast. Which, it's a romance, I get that you're going to have more "insta-love" but it wasn't believable to me. Some people weren't a fan of her best friend, and she was pretty awful. But, I also liked how it felt like a REAL friendship that isn't always perfect. Honestly though, as long as you read it before Queen of Shadows, and before Empire of Storms for sure, you should be good to go. But, this was how I read them the first time, and I thought it was perfect. At least in my personal opinion. This compilation of novellas is actually one of my favorites of the series. It builds on the world so much, we see back stories, and now that I know what happens it's SO FUN to go back knowing how she ties in all of these characters. Except the end will ALWAYS gut me. EVERY TIME. 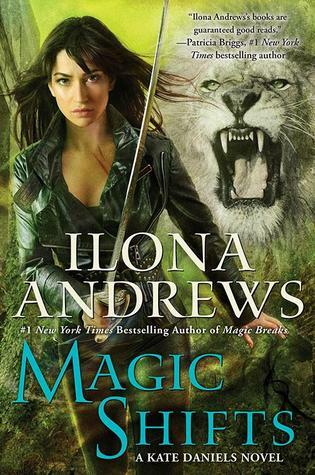 Then it was time for me to jump back into post-magic Atlanta with Kate Daniels! But compared to the previous two books this one was... underwhelming. Don't get me wrong. Kate Daniels at this point will almost always be superior to other books and I always really like them. I had all of the feels, I loved seeing where Kate and Curran and The Pack were after the events of the first book, the monsters and lore were great, the humor was on point, and it was a fun fast read. Just not quite as good as some of the previous books. This book was one of my most anticipated of 2018! And I'm not alone in this. I've been hearing so much hype for this book for MONTHS, maybe even years when Adeyemi signed with a publisher. It's a young adult fantasy inspired by West African culture and mythology featuring a total BA character and there's magic, and gods and goddesses, and a slow burn romance, and this big epic plot and world... it's great. The only reason I didn't give it a full five stars is because it took me a lot longer to really get into the story than I anticipated. I enjoyed the whole thing, but my focus was kind of all over the place and even though I liked the beginning, I didn't love it. The end is such a cliffhanger though and I really want to read more! After the epic and heartbreaking end of Children of Blood and Bone I needed something quick and fun so... time for another Brighton Walsh book! This is the final book in the Reluctant Hearts series, a novella, and we go back to focusing on Cade and Winter's relationship. I liked seeing Cade and Winter get their happy ending and seeing where the other characters went. But, it also cemented that they are my least favorite couple in the series. I like them, and root for them. But Tessa and Jasen are definitely my favorite and I wished I could see more of them! Cade and Winter are a tad too co-dependent and insecure for my taste. But again, I never not rooted for them. So... I guess that didn't' ruin my enjoyment of it too much. There was one moment that bothered me though, where they had a bachelor/bachelorette party and when the girls came back drunk Adam mentioned something about all of the things Paige would want to do and I'm like "UM SHES DRUNK DON'T DO ALL OF THE THINGS SHES SAYING SHE WANTS TO DO." Beyond that. It was fine. Not my fave of the series, but glad I read it. I have so many unread books on my shelves and on my Kindle app. But... I've been in the mood for this series and it was calling to me and the next book comes out at the beginning of May. So... 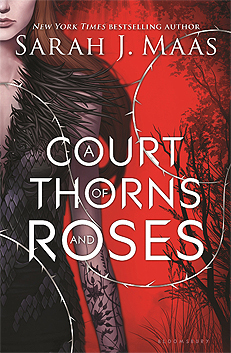 I gave in and re-read A Court of Thorns and Roses. What's interesting is that I appreciate this first book more upon multiple reads because I see everything Maas is building and preparing for the rest of the series and it's pretty great. Also, Sarah J Maas announced on Instagram that a movie is definitely in the works. It's the SUPER early stages. They don't even have a director yet. But still! AHHHHHH. As I was reading I kept on seeing it on the big screen and it could be so EPIC. But some scenes are super violent and disturbing so... I might have to close my eyes sometimes once it does happen. I wasn't going to keep going with the series right away... but I had a few days left of March and couldn't decide on another book to read so... yeah. But this is the best one of the series, so how could I resist?